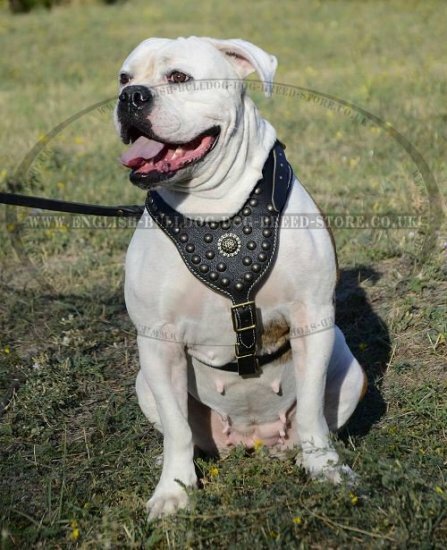 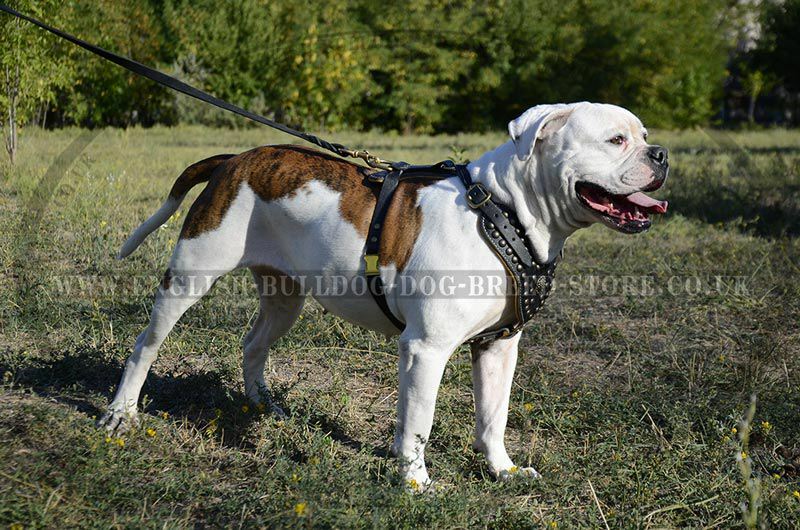 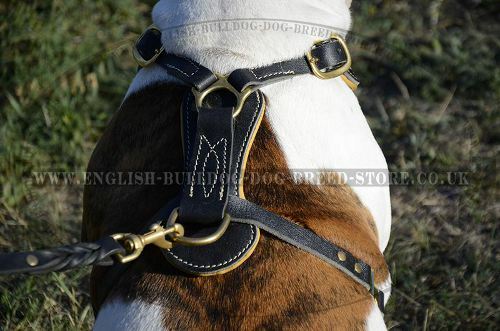 Luxury leather dog harness is a unique dog accessory for your American Bulldog! 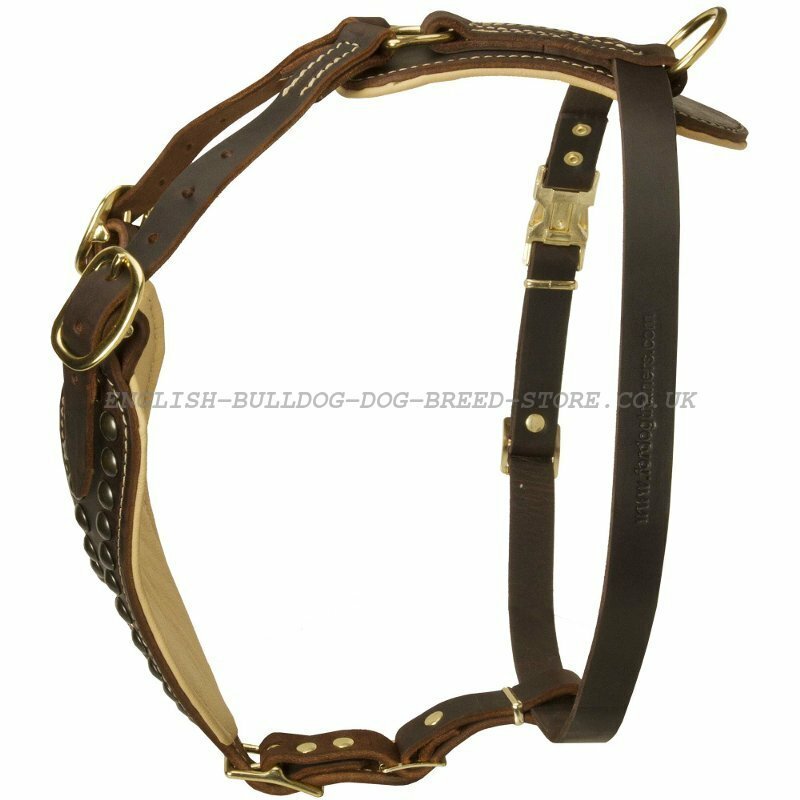 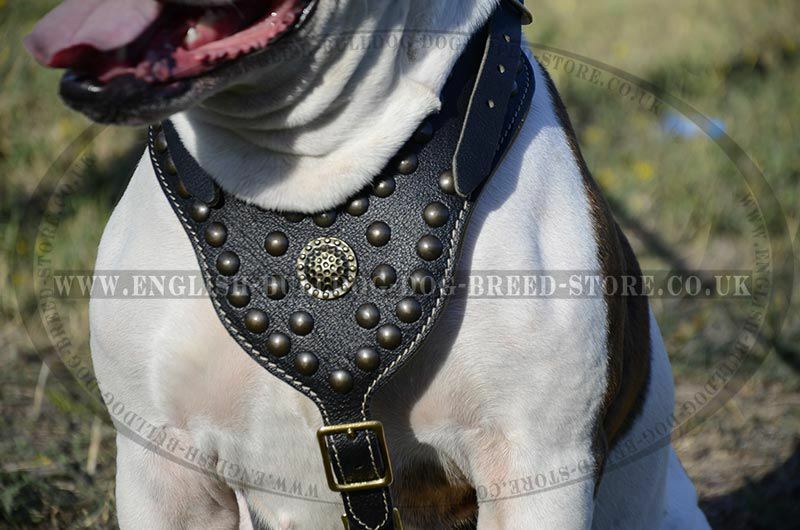 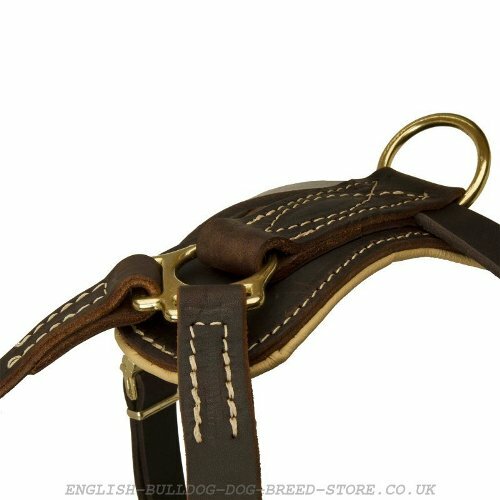 This dog harness is handcrafted of well-processed genuine leather, padded with soft Nappa on the breast and back plates to protect your Bulldog`s skin from rubbing and decorated with brass studs to make the dog look gorgeous. 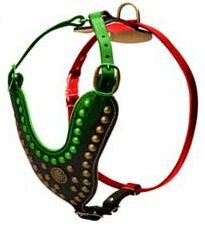 This designer dog harness is a perfect combination of top quality, stylish design and convenience! 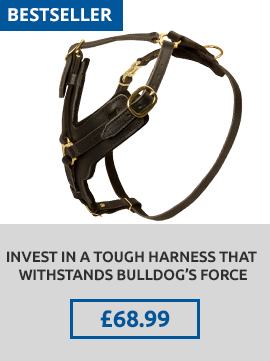 Your Bulldog deserves to wear the best dog harness! 1. 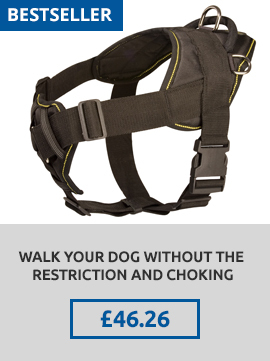 Hi, I did receive the harness. 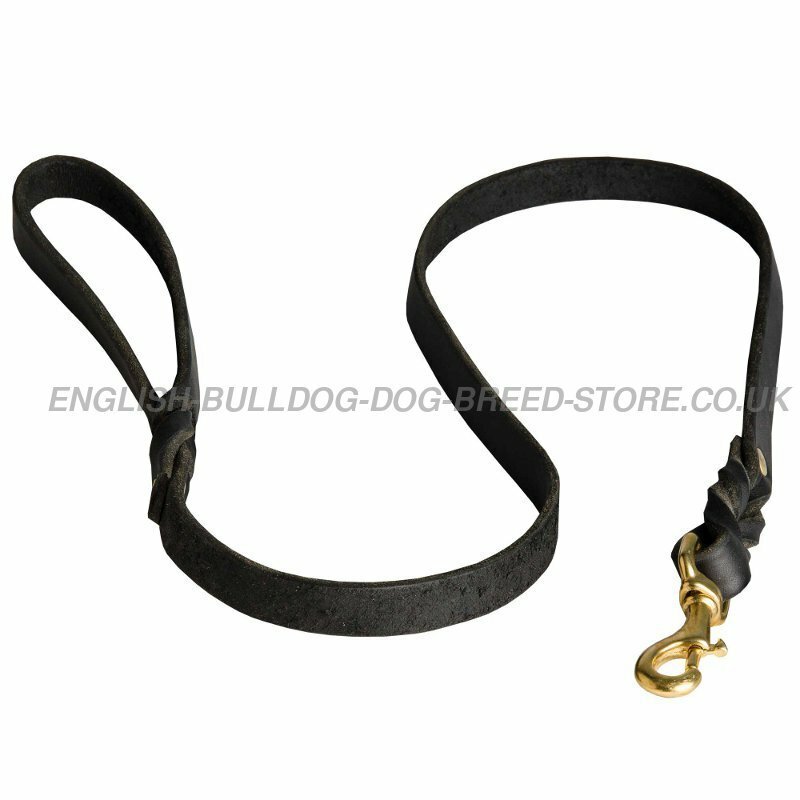 It is of great quality, and will last a vary long time. 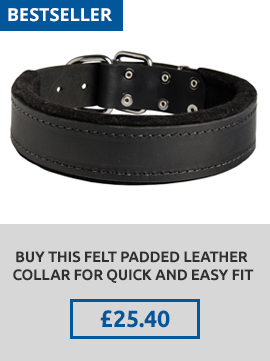 I am very pleased with your product. Thank you again! 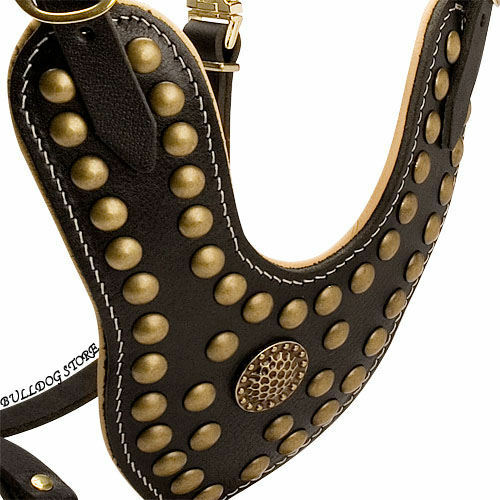 Sincerely.